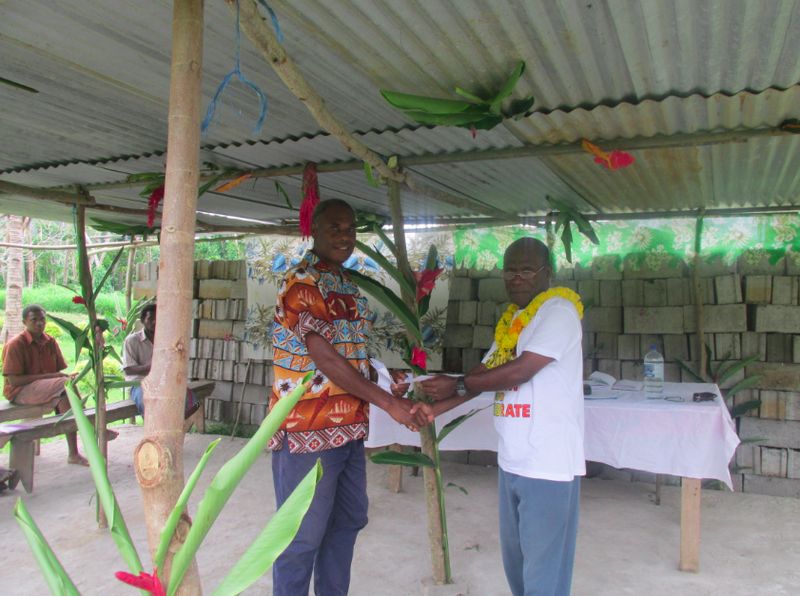 Thank you all for your support for Vanuatu after Cyclone Pam. Below is a photo of the Director of Education (PCV) giving over funds from St Andrews Christian College to help rebuild Meliwo Bible College on Epi Island. In the back of the photo are bricks bought to help rebuild the College. The Funds we raised as a College has assisted 3 Colleges to rebuild after the devastation of the cyclone.